In the wilderness of southern Missouri, 44 miles of the Eleven Point River is part of the National Wild and Scenic River system. 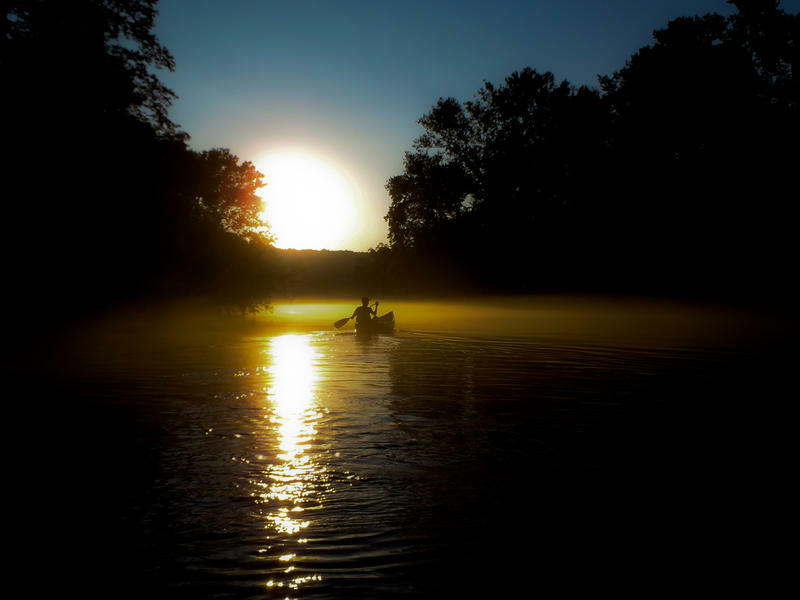 Part of the river is nestled between the Mark Twain National Forest and a historically rich parcel called the Irish Wilderness. As the river descends to the Missouri-Arkansas border, cattle grazing intermingles with the edge of the forest. Now, Missouri is considering developing the southern part of the river into a state park. But the park has become controversial -- both for its very existence and for the money used to buy it. “The Eleven Point River is pretty special to me. It is a very pristine watershed. … Not a lot of people know about the Eleven Point. It’s hard to get to. It’s a great place to go fishing. It’s one of the few streams that we still have Hellbenders in, which indicates that we have very good water quality down there still,” said Aaron Jeffries, deputy director of the Missouri Department of Conservation. The Missouri Department of Natural Resources bought slightly less than 4,200 acres of land surrounding the Eleven Point River in Oregon County earlier this year. According to Tom Bastian, communications director for Natural Resources, the department bought that land for just over $8 million from two owners, Buildings for Babies and Frederick Creek Ranch. About a four-hour drive north, lawmakers in Jefferson City have voiced skepticism about the land purchase. Rep. Robert Ross, R-Yukon, says having a new park along the Eleven Point River will cause a substantial loss to the local economy. Oregon County commissioners did not respond to requests for information on the land’s status before Department of Natural Resources ownership. Dr. Susan Flader, a longtime Missouri Parks Association volunteer and a retired professor of state environmental history at Mizzou, says the parks system frequently works with farmers to keep income-producing land in operation. “The areas that actually were most intensively used by cattle [along the river] were intentionally not purchased by the state so they could continue to be used as cattle-grazing land,” said Flader. Ross says the government-owned land will cause a sizable loss in property tax revenue for the county. Land acquired by the Department of Natural Resources is not subject to property taxes. The state is required, however, to make a payment in lieu of taxes for the first five years following acquisition. This is to compensate counties during the park's development, when it hasn’t yet become a public draw. The department reports that the Frederick Creek Ranch paid about $2,000 in property taxes each year. As a nonprofit, Buildings for Babies should have been exempt from property taxes. According to findings from a 2012 report by DJ Case & Associates, an Indiana-based communications firm for natural resources conservation, every dollar spent to operate the state park system garners $26 for the Missouri economy. Ross says economic growth stimulated by parks doesn't necessarily mean revenue for the counties in which they are located. He said the poorest areas of the state often have the most government-owned property. U.S. Census reports that the median income for Oregon County is $29,385, with approximately 24 percent of people living below the poverty rate. “What we’re seeing here is that as more land is purchased in some of the most rural areas of the state — some that I represent — at the end of the day, it’s the local communities and schools that suffer through this lost tax base,” said Ross. Ross is proposing a batch of legislation that would increase the taxes paid by the Departments of Natural Resources and Conservation as well as the state’s Conservation Commission. These three institutions operate autonomously, but often collaborate on projects. remove the current five-year property tax cap for park land newly acquired by the Department of Natural Resources (HJR 101). repeal the Conservation Commission’s authority to purchase land (HJR 103). require all three organizations to obtain legislative approval before purchasing any property (HB 2670). Aaron Jeffries of the Conservation Department says the pending legislation could gum up environmental protection initiatives in the state. Ross’ bills are in various stages of the legislative process, but most haven’t yet made it out of committee. Another bill he sponsors, however, is approaching the finish line. That bill (HB 2187) would require Natural Resources to sell its recent land purchase along the Eleven Point River in Oregon County. The measure passed out of the House in mid-February with a veto-proof majority (117-33) and is awaiting debate on the Senate floor. Some lawmakers have said Gov. Jay Nixon authorized the land purchase to establish a legacy during his final year in office. 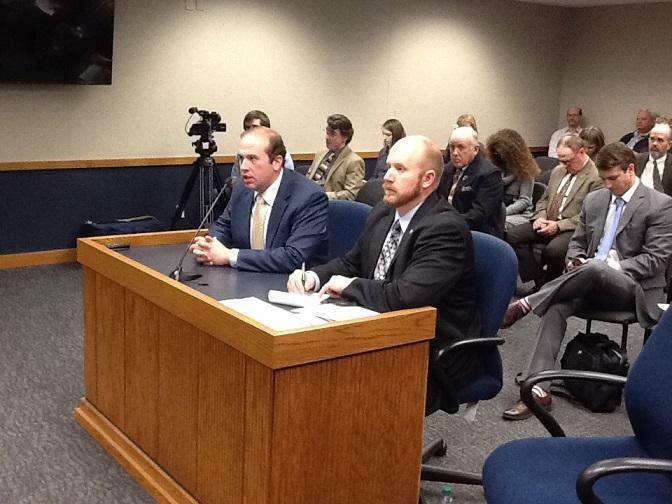 Rep. Jay Barnes, R-Jefferson City, chairs a House interim committee to investigate the ethics of the state park creation. At the beginning of the legislative session, Barnes filed a bill to require the state to sell back the Oregon County land, but it has since been tabled. He testified in support of Ross’ legislation during a House committee hearing in January. The governor’s office did not respond to requests to comment for this story. Barnes suggested that the funds used to purchase the Oregon County land were not intended for state parks. They originated from a 2009 settlement with the American Smelting and Refining Co., in which The Missouri Trustees Council received $61 million for lead mine remediation and restoration projects. The company also paid $80 million to the EPA, which is responsible for initiating such projects in Missouri’s lead belt area. “In other words, the money can be used both for (1) restoration projects on damaged lands, and (2) acquiring land similar to what was damaged,” said Bastian of Natural Resources. 'The money can be used both for (1) restoration projects on damaged lands, and (2) acquiring land similar to what was damaged.' - Natural Resources spokesman. Supporters of the new park say the Eleven Point River is connected to damaged land northeast of the park area; so preserving one spot will inevitably help the other. “[Nixon] wanted to steal money from areas of this state that were actually harmed … and give it away for something else so he could create a state park and get credit for building that state park,” said Barnes. Smith says the public notices for these hearings were posted on the department’s website and the federal register, but those aren’t appropriate platforms for spreading local news. Patrick Ledgerwood, presiding commissioner for Oregon County, also opposes the park. Park supporters say environmental efforts in the state have fallen victim to insider politics. As the governor’s final term inches toward its end, there seems to be a growing rift between the Nixon administration and the Republican supermajority in the General Assembly. The Senate could vote on the bill to require the land sale any time after Monday. 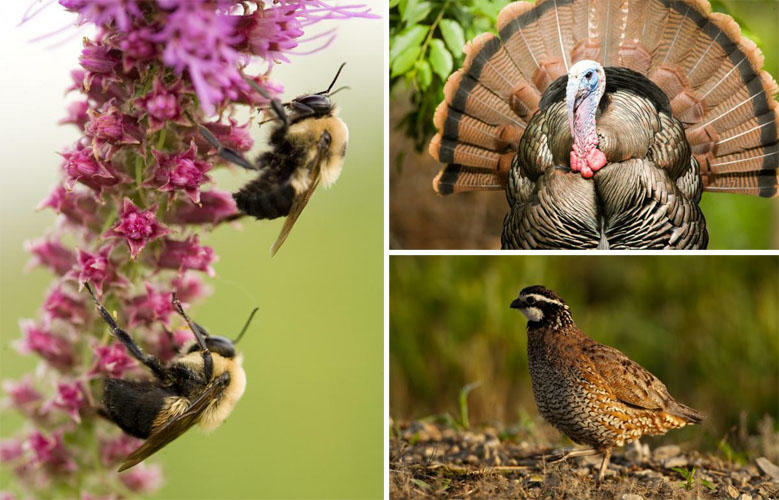 This article first appeared in the St. Louis Beacon: If you visit one of Missouri’s native prairies when the coneflowers are blooming, you will see plenty of bees buzzing around them. 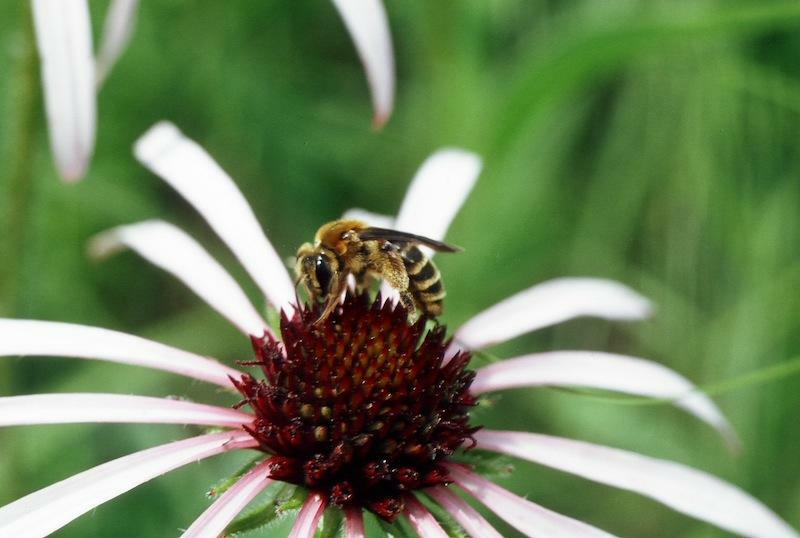 You may not realize that some of these bees are a single species that collects pollen only from the pale purple coneflower and only on native prairie. This coneflower specialist flies for just a few weeks each year, collecting the pollen to feed its offspring until the coneflower blooms again. Though it's generally well run, the Missouri Department of Conservation has had trouble following directions. That is the conclusion of a report released Friday by auditor Nicole Galloway, a Democrat. The Missouri Department of Conservation would have to pay up if two new legislative proposals become law. 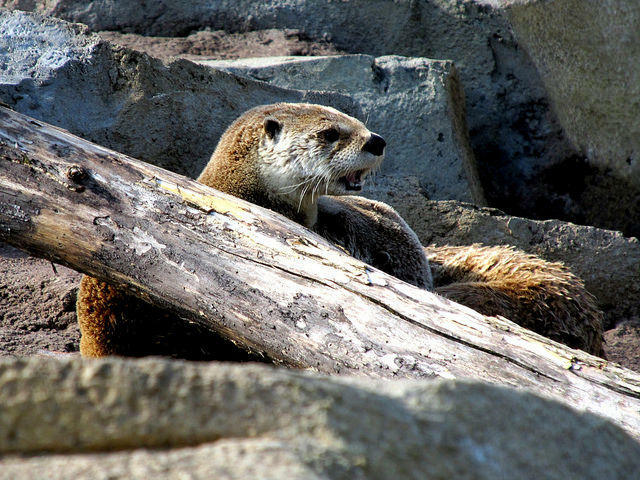 One pre-filed bill would require the department to pay for any property damage caused by "wild otters, elk, or bear." Legislation is being considered in the Missouri House that would block the Nixon administration from creating a new state park in the southern part of the state. Two bills heard Monday by a House committee would force the Department of Natural Resources to sell any land set aside for the new park that was purchased using funds from lead mining settlements.